﻿but this year is for the girls. Fancy, and fun...and a beautiful celebration. A dress and flowers and just the right hat. 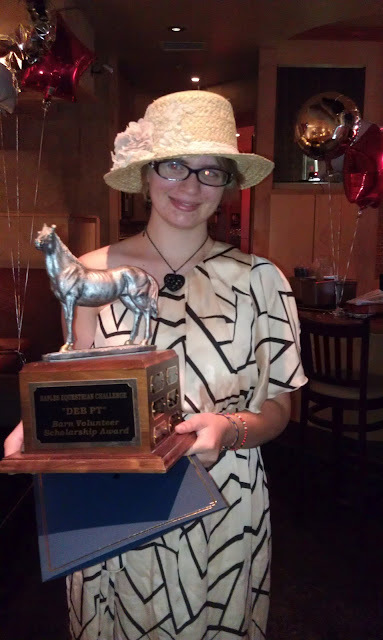 Laura has been volunteering with horses and kids for over five years. I think she may have fallen in love even before she worked her first day, but each Saturday morning, she fell deeper and deeper. Her smile outweighs a grumble over a stepped-on toe, and she kicks the dirt out of her boots before she heads for home. She laughs over a story from one small heart or another, and her eyes shine with love. She reports someone's accomplishment, mighty or small, and I can just see her own pre-motherly heart starting to bloom. It has been a wonder to watch her, so bravely and beautifully tending to these that need just a little more. And while a Mama knows what she knows... she doesn't fully know until she hears the praises from the ones who work beside her. Who train her. Who need her. Who look into my eyes and tell me that she is wonderful and appreciated and sweet and kind. So we celebrated her, along with Char... who introduced her to the program in the first place. And if there is anything better than celebrating your girl, it is celebrating two girls. The one who is my heart, and the one who might as well be. That's so sweet. Giving of herself to make others feel loved, accepted and special. Lovely, Dawn. Oh this is just so wonderful. So glad you got to hear good things about 'your' girl...although I've told you countless times. Oh, enough about me....it's about her. About them. Wonderful young ladies....so happy they were recognized. 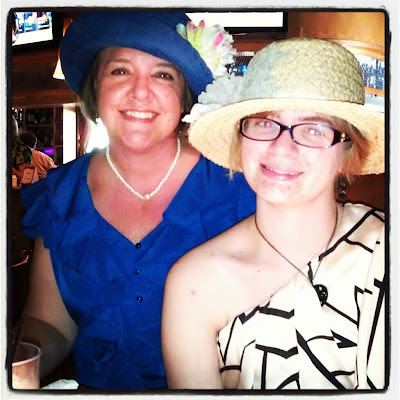 LOVE those hats; blue IS your color!